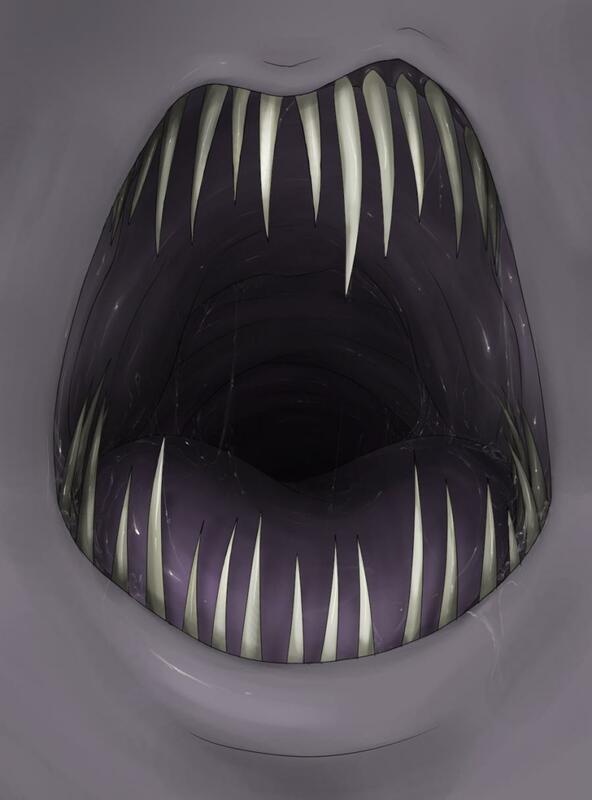 I saw a few unique and fairly amazing vore images recently, and decided to make an actual thread about this genre. So, post all vore images here which you would qualify as impressive in either their drawing style, ideas, and so on. I think some would be quite interesting to see Most I've come across were some fantastic views of detailed internals that looked like huge dark caves... but I don't remember many at the moment. He's also posted another pic today of a pretty amazing stomach view, which actually inspired me to make this thread looking for more. As usual, I'm only interested in furry predators (anthros or ferals) but I don't wanna keep the thread for myself so post anything that qualifies. Using spoilers and describing the content is however encouraged. Uhm, wow. I dunno anything that reaches this quality. 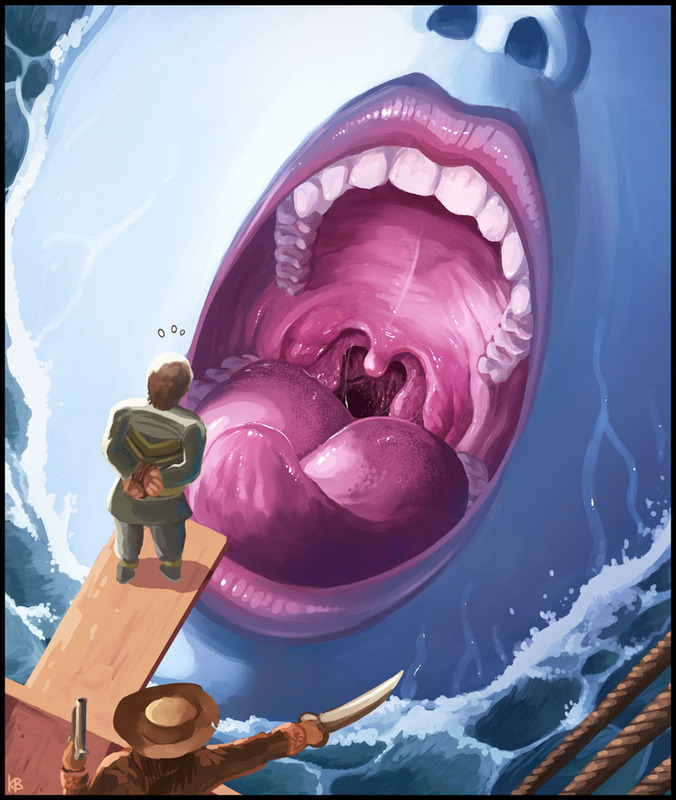 You want to make a thread about vore images people consider amazing and unique? Isn't that far too subjective to be feasible as the subject of an entire thread? I thought those pictures were unique. "It doesn't matter who you are on the outside, but it does matter who you have digesting inside." Ummm, I don`t think such a thread would work, because quality and ``uniquness`` are very sugestive. Also I suspect drama could easely take root in such a thread. [Dinobonoid] wrote: You want to make a thread about vore images people consider amazing and unique? kernac wrote: Ummm, I don`t think such a thread would work, because quality and ``uniquness`` are very sugestive. If it's subjective... so what? People can still post whatever they consider amazing to them! Personally, I think this is a cool idea for a thread. I do enjoy a good amount of pictures done by VoreLord. And when you're gone, will anybody care why? I have yet to see a work of his that isn't jaw-droppingly beautiful. MagicOddEffect wrote: Anything by Karbo. For this exact reason, i propose that Karbo's work be banned from the thread. His work is the bread and butter of the vore community for the most part. I'm implying nothing negative with this comment, personally I love his work. But it would defeat the purpose of the thread if it was flooded with his work, i'm sure we all know where to find him. Cicatrix_Manet wrote: For this exact reason, i propose that Karbo's work be banned from the thread. His work is the bread and butter of the vore community for the most part. I'm implying nothing negative with this comment, personally I love his work. But it would defeat the purpose of the thread if it was flooded with his work, i'm sure we all know where to find him. The purpose is neither to ban or excessively support any specific person's art (as in focus only on it). Any awesome images are welcome at all. Myself, I never heard of this artist nor know where to find him. If he has a lot of pics and it would cause the threat to get flooded, a link to his entire gallery would work too. Well, I always found this picture of Talrion very well done. I support the idea of highlighting high quality submissions, although I think that Kernac makes a good point. Eka's Portal has a strong philosophy of egalitarian view with regard to contributions, so threads such as this may be discouraged to avoid drama and argument. I am not sure. Indighost wrote: I support the idea of highlighting high quality submissions, although I think that Kernac makes a good point. Eka's Portal has a strong philosophy of egalitarian view with regard to contributions, so threads such as this may be discouraged to avoid drama and argument. I am not sure. 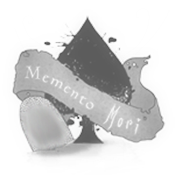 MirceaKitsune wrote: It's not just the quality, but also images of rather unique themes and ideas. Wow. the quality is staggering. I like it... I like it a lot. 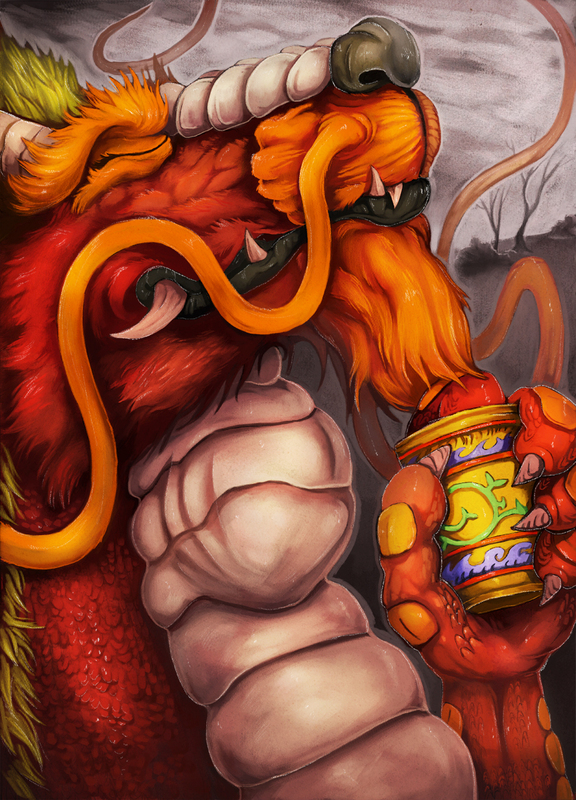 I do enjoy feral/anthro vore if it is tastefully done, and this is very tasteful. I love the oriental influence too.